Telmediq offers HIPAA compliant pager functionality but includes reliable two-way text messaging and voice communications, message escalations, and on-call scheduling. 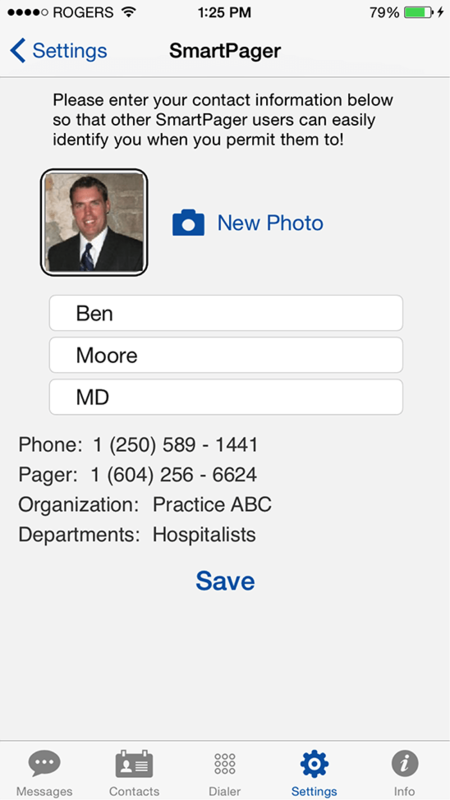 Hospital pager solutions have evolved, ensure your team has the tools needed for effective patient care and care team collaboration. Telmediq turns any Android or iOS device into a reliable two-way text pager replacement system for priority messages and callbacks. 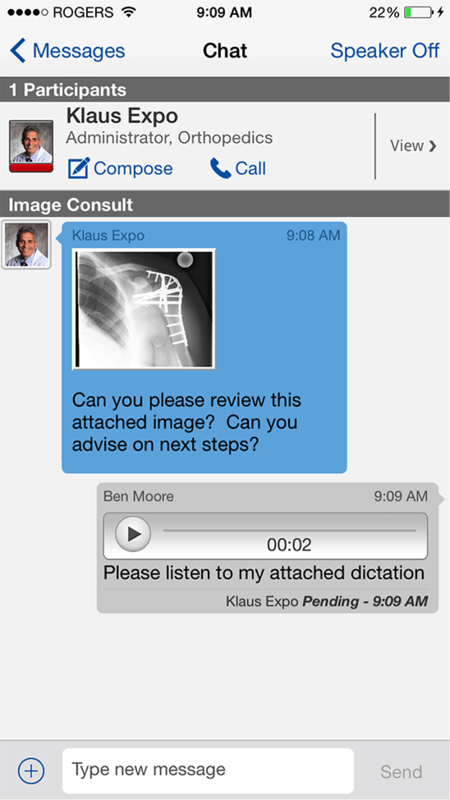 Quickly send and return text or voice messages between medical providers and healthcare teams while keeping all parties HIPAA compliant. 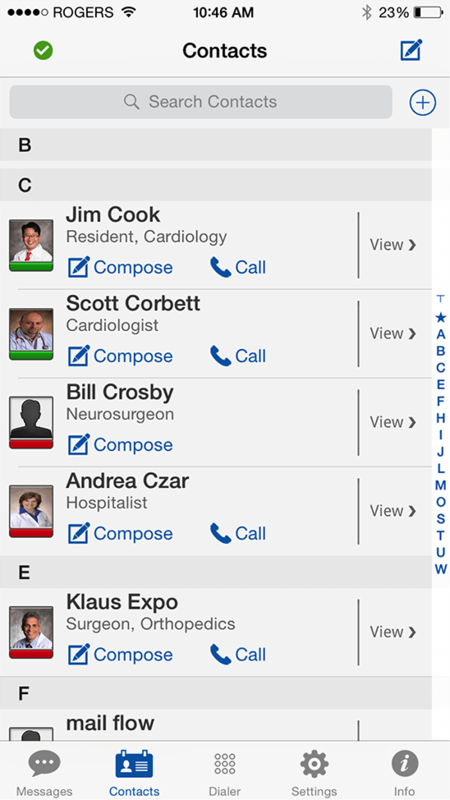 Improve communication speed by creating automatic workflow rules that route messages to the right person or group based on their on-call availability or status. 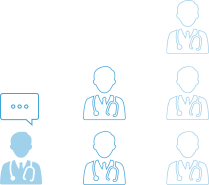 HIPAA compliant paging systems have evolved, ensure your team has the right tools for effective care team communication and collaboration. 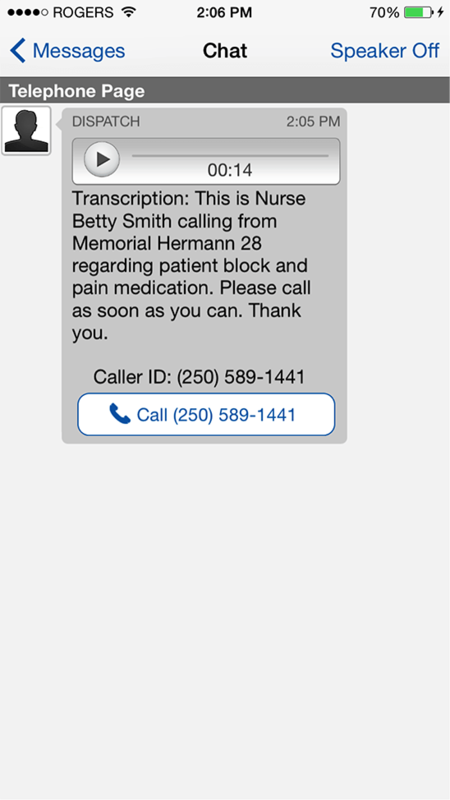 Telmediq simplifies the callback process for physicians and service providers with dedicated phone numbers and Voice over IP (VOIP) callback features. 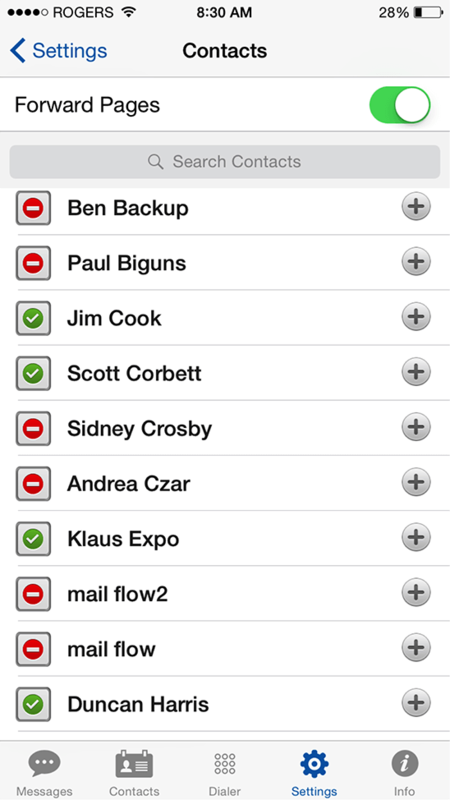 Message or call directly from a personal smartphone while keeping the number secure and private. Telmediq’s mobile pager technology can be used with existing pager networks and medical answering service software so that physicians wanting to keep physical medical pagers or other legacy devices can still receive messages. 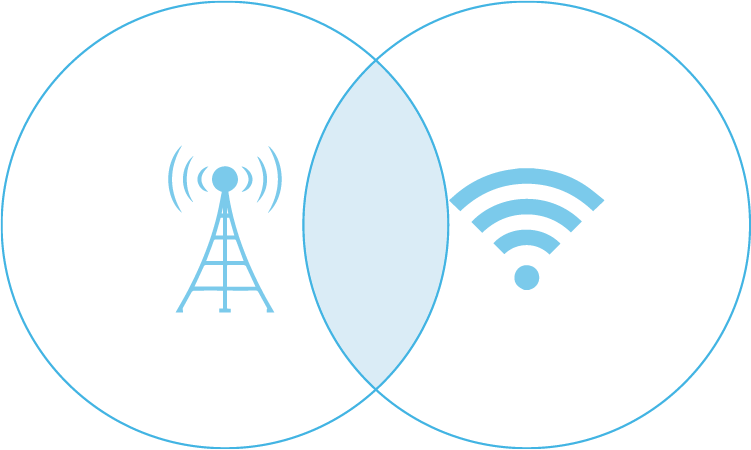 Telmediq packages the reliability of a pager network onto an iOS or Android device and ensures priority message delivery even when a smartphone loses its data connection. 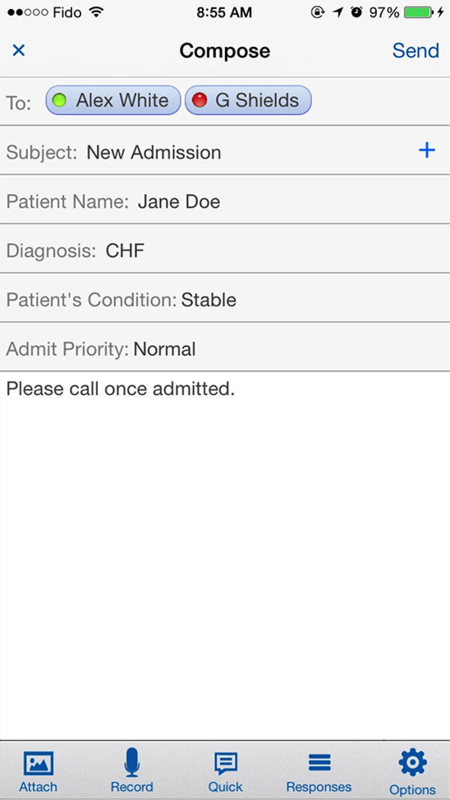 Persistent delivery features automatically retry primary and secondary phone and email contact options for an on-call physician or provider group. 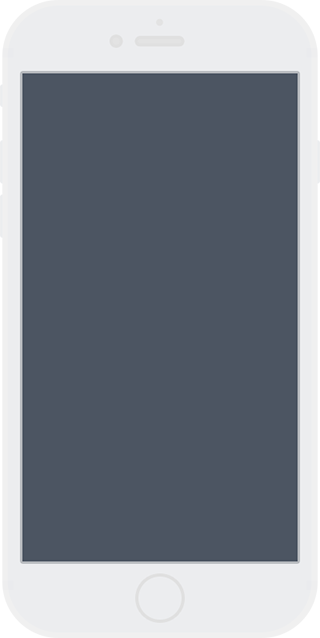 Unacknowledged messages are automatically escalated to a corresponding individual or call team based on the organization’s communication policies. 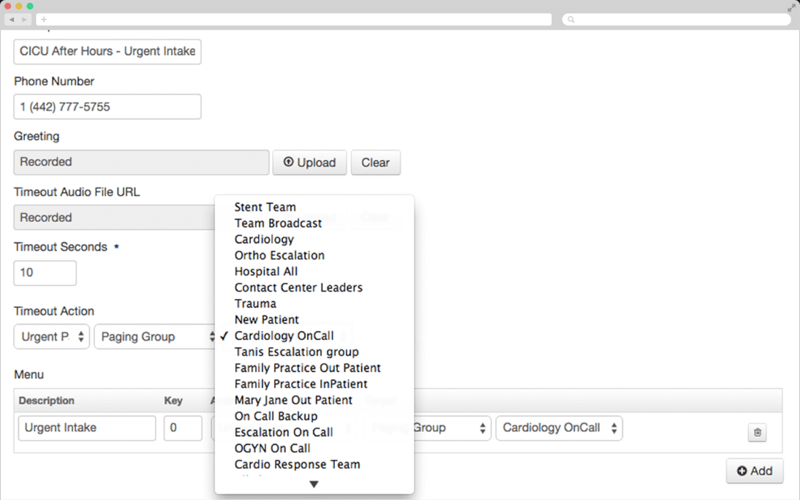 Telmediq integrates with EMR and EHR systems, on-call scheduling solutions, and Active Directories to further simplify patient care coordination. 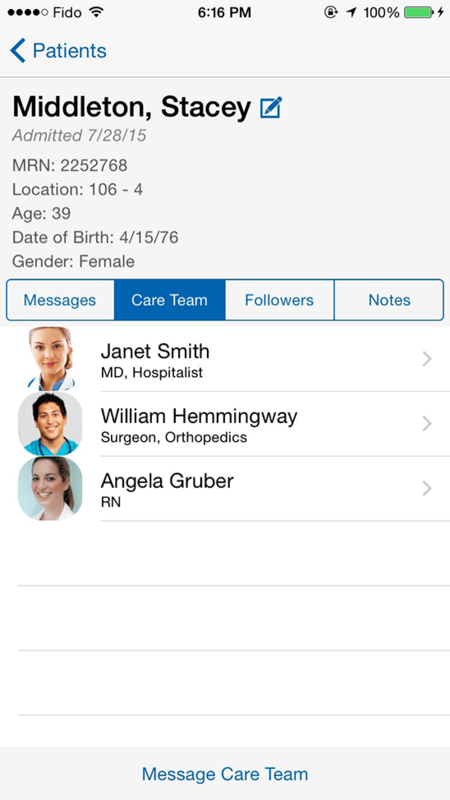 By integrating our mobile pager software with an EMR system’s ADT feed, clinicians can visualize all messages specific to a patient, as well as diagnostic notes, care team information and a patient roster in real-time. Legacy medical pagers don't provide medical professionals the breath of information needed for proper patient care. Overhead paging systems add to noise pollution reducing patient satisfaction scores and are a dangerous contributor to alarm fatigue. 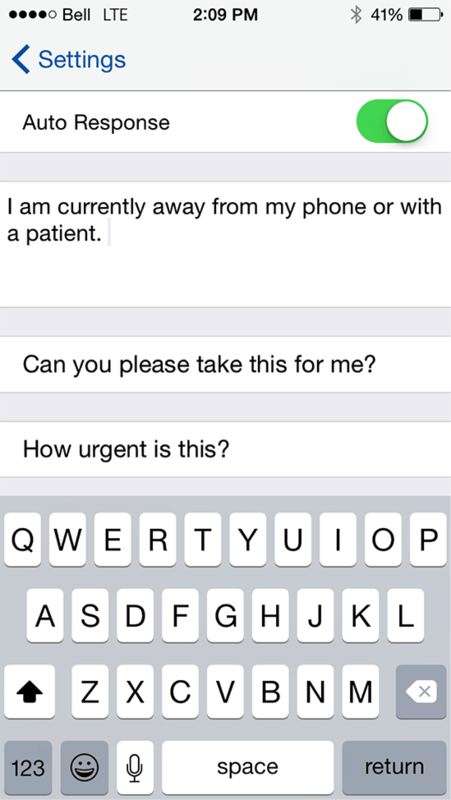 Telmediq offers prioritized messaging and system-wide notifications for emergencies. 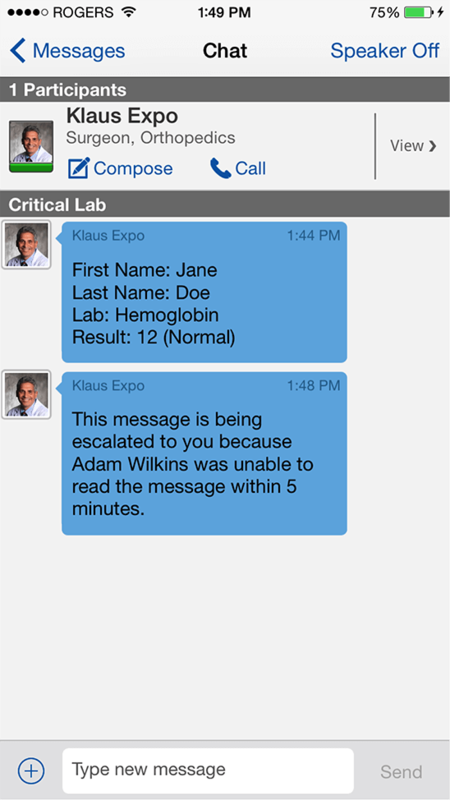 Secure Text Messaging Our HIPAA compliant secure texting solution allows healthcare teams to share Protected Health Information (PHI) instantly and securely. Group Messaging and Broadcasts Groups can be created by administrators and individuals to speed up care coordination or send out enterprise broadcasts. Forwarding and Escalations Users can forward their inbox when they are not available. 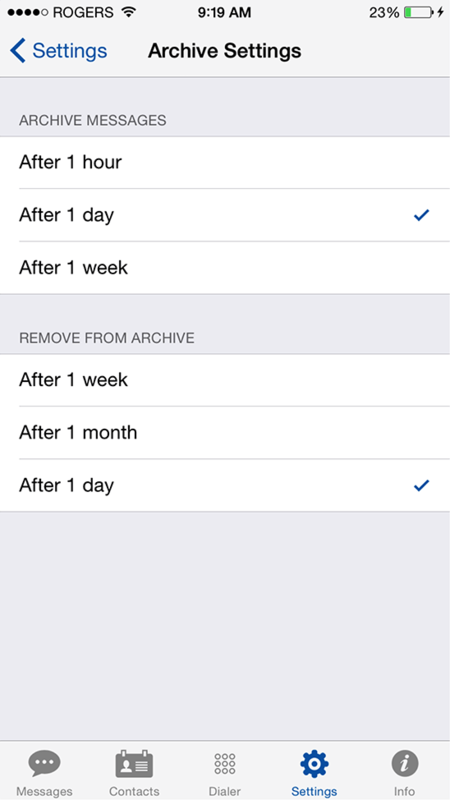 High priority unread messages can automatically escalate to backup users. 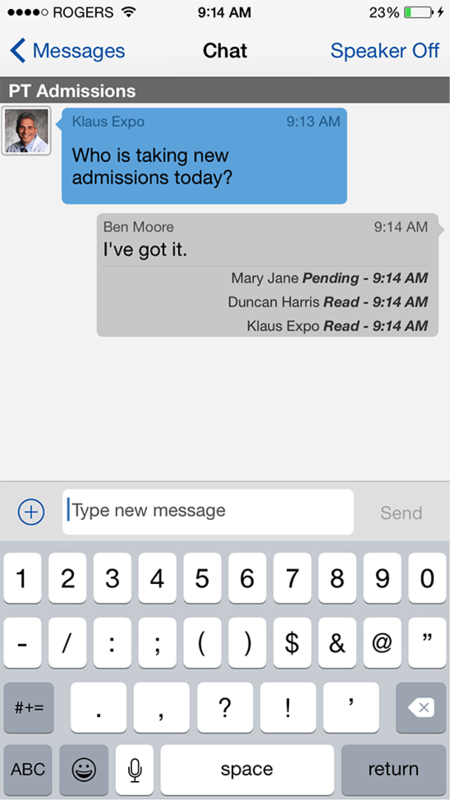 Structured Communications Create message templates for common activities such as orders and admissions to improve the quality of communications. 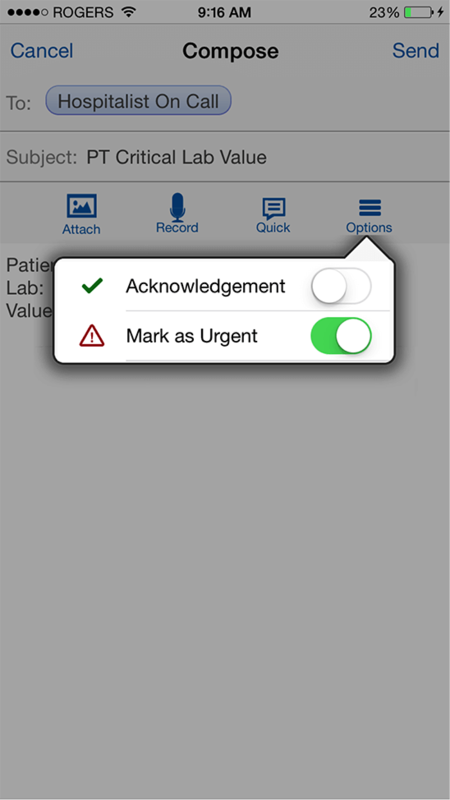 Workflow Send and track patient care task assignments and their completion. Images, Voice, Video and Files Securely send images, voice recordings, and video with ease. Delivery and Read Tracking Track the status of individual messages and whether a user has received or read them. Set Message Priority Give messages an urgent status and create unique ringtones and delivery options so that they get read and responded to first. Automatic Responses Setup custom responses that indicate your current status or to filter out noise and messages that are not high priority. 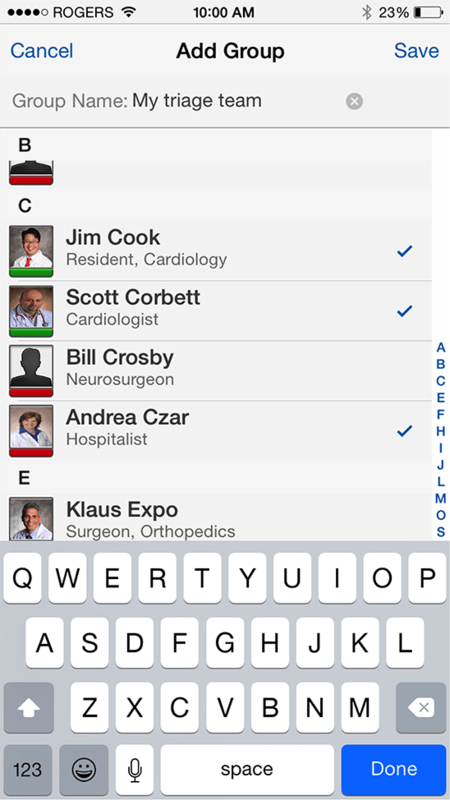 Organization Directory Instantly see your organization’s entire directory by role, title, or department. 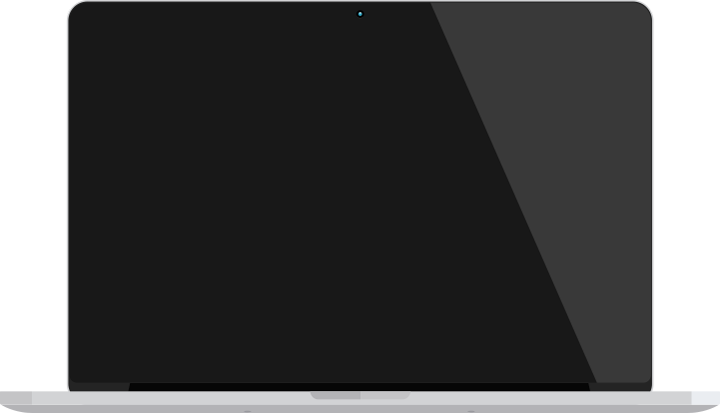 Seamlessly works with your existing directory service such as Microsoft Active Directory. Message Lifespan Control IT administrators can set the lifespan of messages so that they are deleted from a user’s device after a certain period of time. Dedicated Pager Number Use a dedicated pager number specifically for work-related messages. 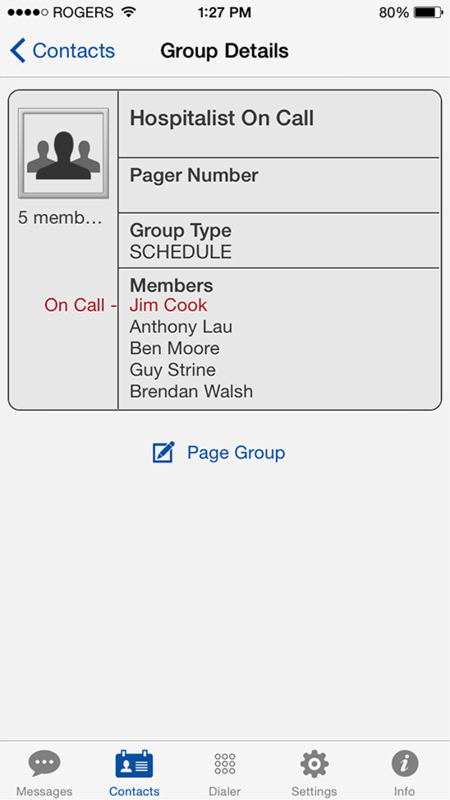 Pager numbers can be assigned to individuals and groups. 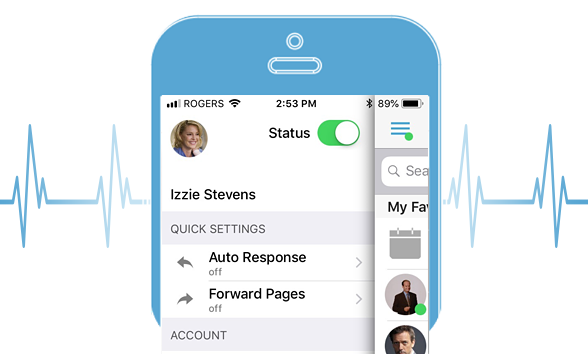 Visual Voicemail and Transcription All voice messages from patients and other medical providers are automatically transcribed and provided with an audio message that you can listen to. 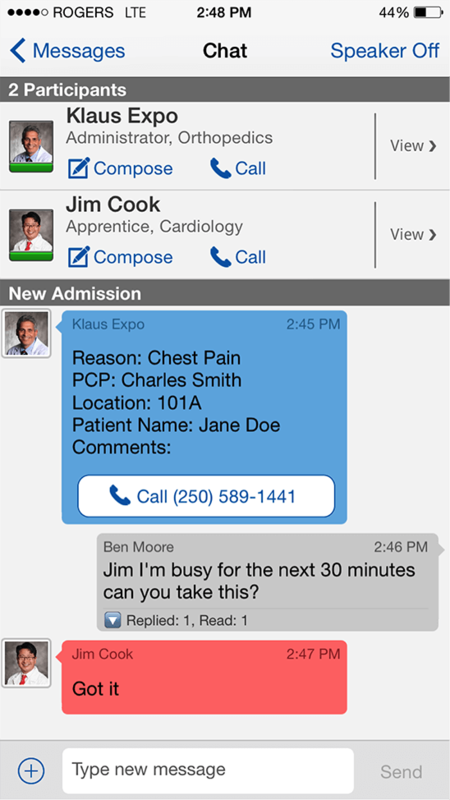 Patient Centric Messaging Messages can be linked to specific patients from both the web console and the mobile application. 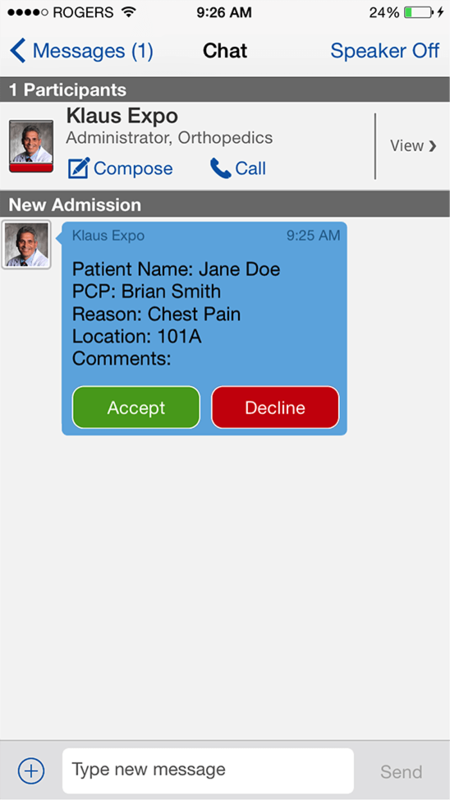 Patient information is automatically populated from an EMR systems ADT feed. 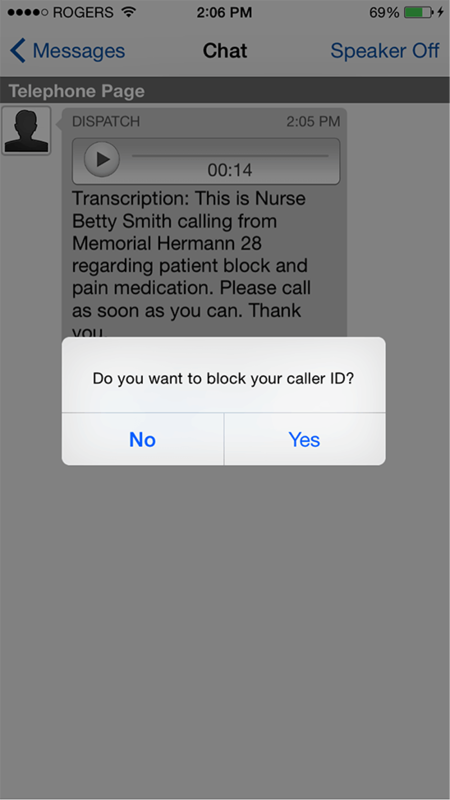 Block Caller ID Your providers can protect their personal phone numbers. 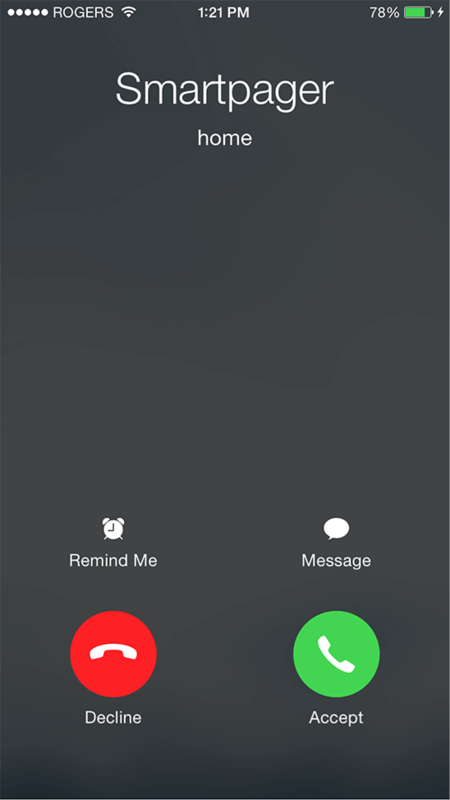 When they call a patient or other healthcare provider back, the number for your practice or hospital is displayed, and the call details or actual callback can be recorded. Reliable Message Delivery The SmartPager pager replacement system will securely send a text message or phone a user to deliver a message if they have no mobile data connection, ensuring reliable delivery. 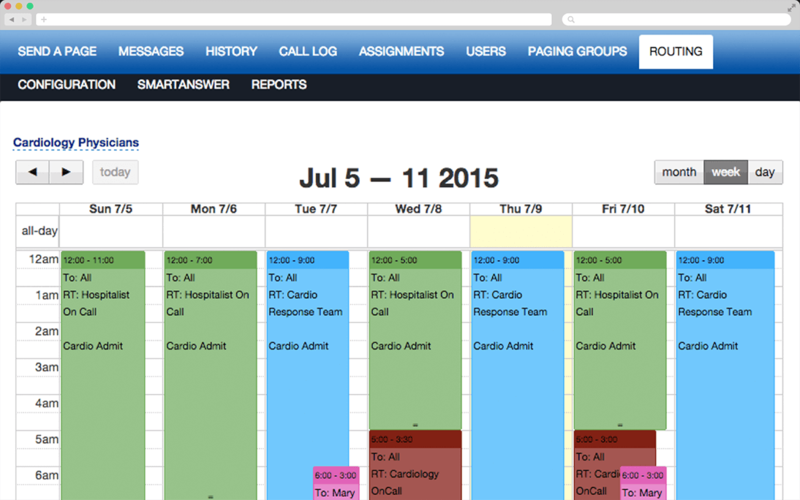 On-Call Scheduling and Routing Avoid calls or text messages to off-duty physicians by using call schedules and routing rules. Escalation Rules Create policies so that priority messages that go unanswered will be automatically escalated to a backup team member within a defined timeframe. 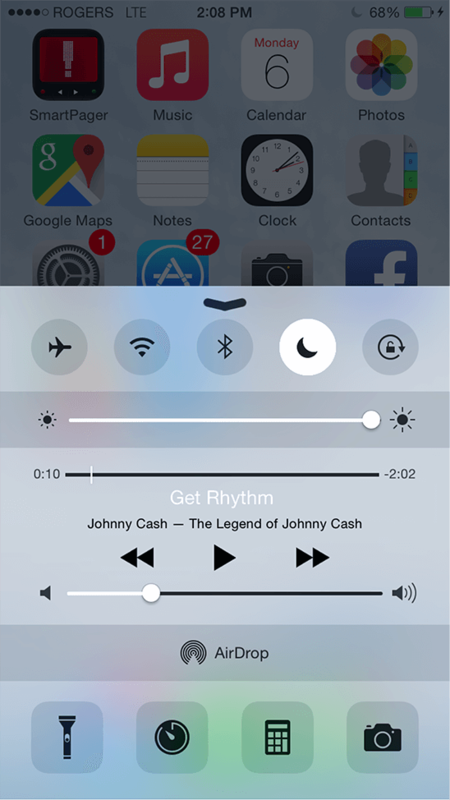 Smartphone DND Override An override feature ensures that important messages provide audio alerts regardless of a user’s Do Not Disturb Settings. Local Forwarding Number Set up a local toll-free number and create intelligent routing rules to multiple phone numbers, specific departments, offices, or after-hour call services. Interactive Voice Response Create interactive voice responses that intuitively guide an inbound caller to the right person within your organization each and every time. 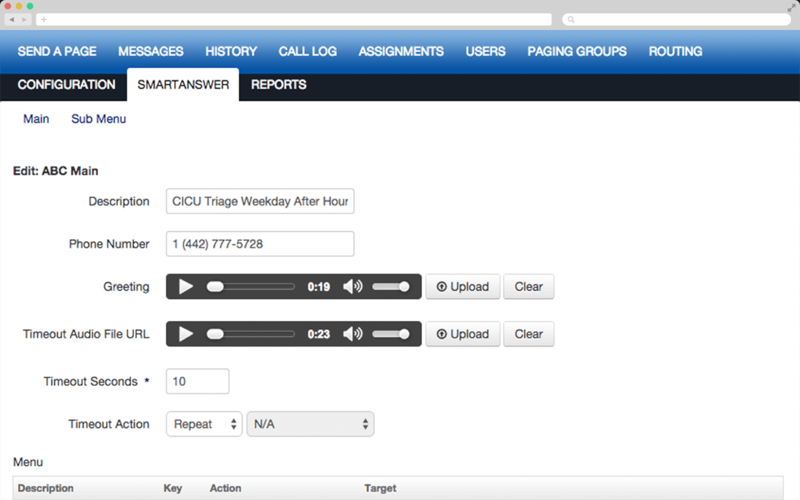 Call and Paging Preferences Easily create and configure provider on-call schedules and message routing rules, so that they only receive priority or important phone calls and messages when off-duty. 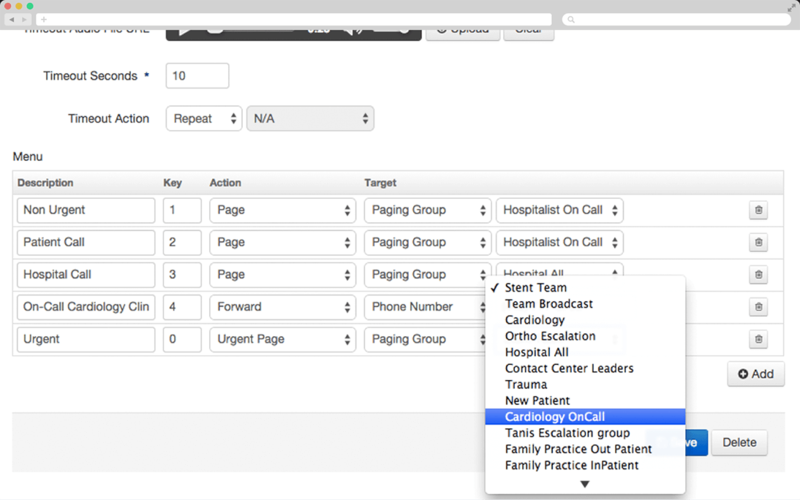 Rules Based Call and Message Routing Designed to facilitate the complexity of after hours medical call coverage, SmartAnswer simplifies how inbound calls and messages are routed based on availability, on-call schedules and contact preferences so that no patient call is ever dropped. Evaluate Telmediq now for your healthcare organization.